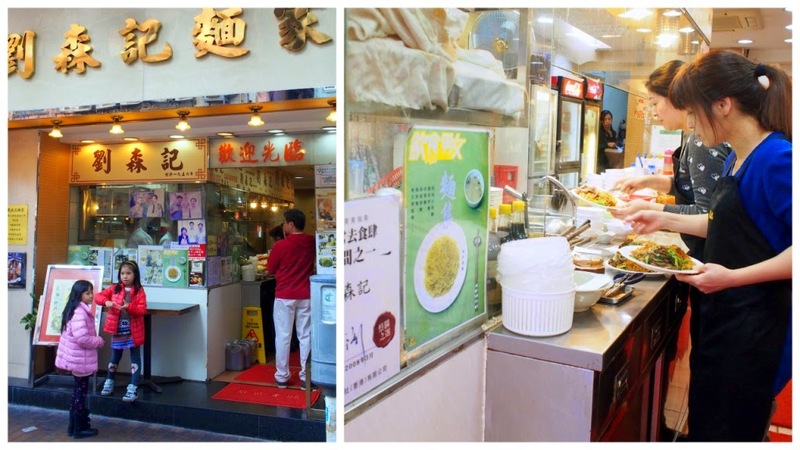 One of the benefits of living in Hong Kong is that there is no end to good noodle outlets here. 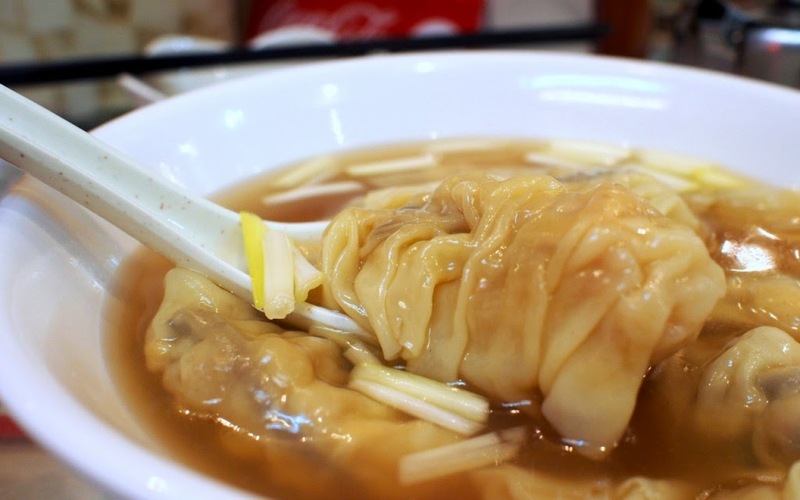 I'm the envy of friends and family who wax lyrical about the springiness of the Hong Kong egg noodles and the juicy freshness of the shrimps in the dumplings. 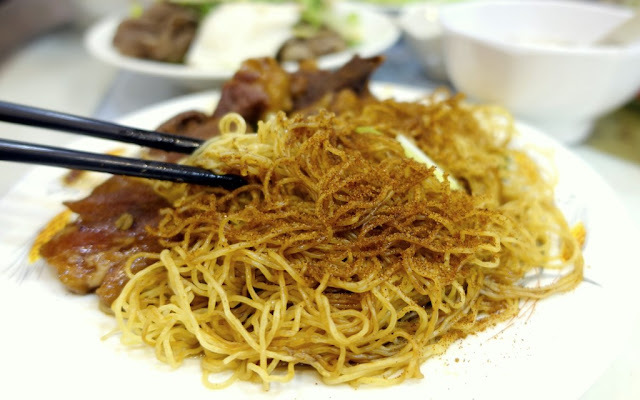 But amongst the tens of thousands of noodle restaurants from which to choose, this one - Lau Sum Kee - in the bustling, grungy, chaotic neighbourhood of Sham Shui Po north of Mongkok, is by far and away, my reigning favourite. This tiny restaurant (there's a sister outlet nearby) specializes in ha zi lo mein/xiā zǐ lāo miàn (shrimp roe dry noodles 蝦子撈 麵.) I can't even begin to tell you of the incredibly long lines during the lunch and dinner periods that snake outside this restaurant and its semi-conjoined sibling that's literally just around the corner. 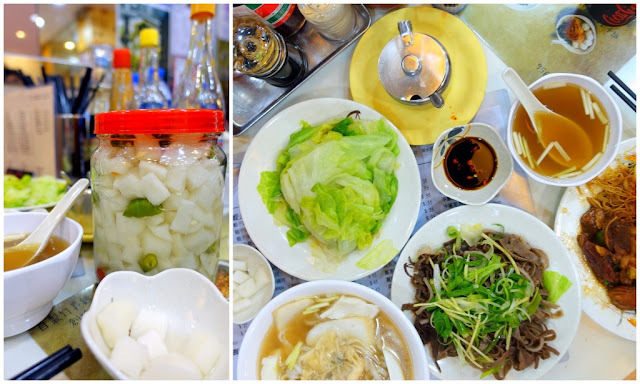 Locals and in-the-know foodie tourists swarm this place daily, waiting to sit, squished elbow-to-elbow, at the small communal tables already over laden with containers of chopsticks, bottles of chili sauce, and jars of pickled radish in vinegar. I get around this invasion of my private space by getting my noodle fix at off-peak hours - it wreaks havoc on my eating schedule but I find that 4.22 pm on a Saturday will pretty much guarantee me a seat in mere seconds. Well worth the wait: This is what all those long lines of noodle hunters are there for: the famed 蝦子撈 麵 or shrimp roe dried noodles. One of the best things about Lau Sum Kee is that you can order your noodles in all sort of combos: plain, or with wontons, beef brisket/tendons, pork knuckles, fish cake, beef tripe.......really whatever rocks your boat. 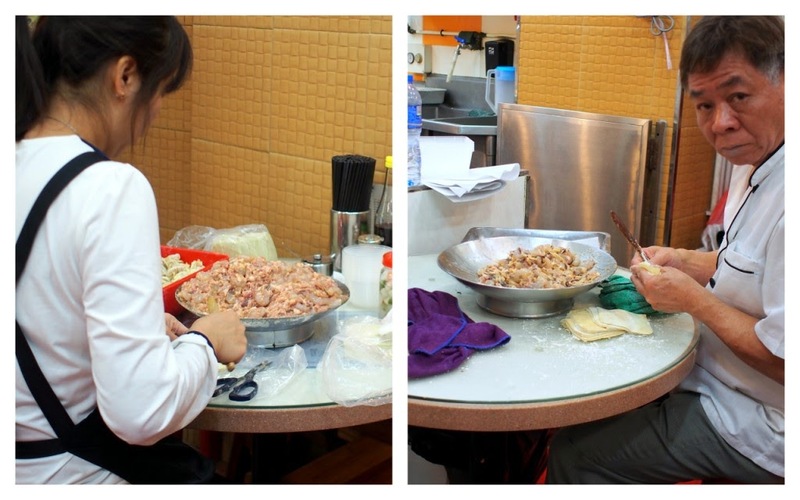 Freshly made suey gao/shuǐjiǎo (水餃) or steamed dumplings with shrimp and chives. 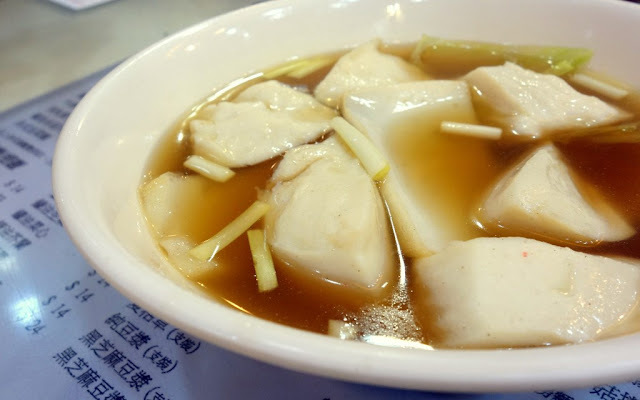 The suey gao 水餃 dumplings are made right on the spot throughout the day in the main dining area. 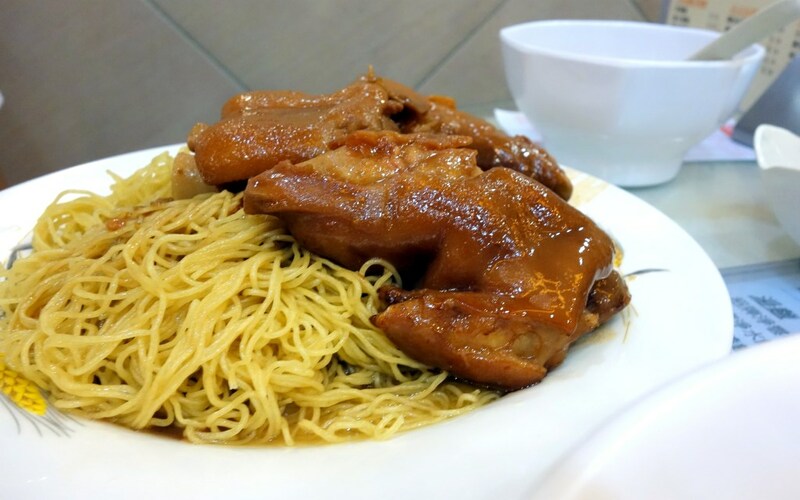 Another perennial favourite amongst diners at Lau Sum Kee: egg noodles with braised pork knuckles. 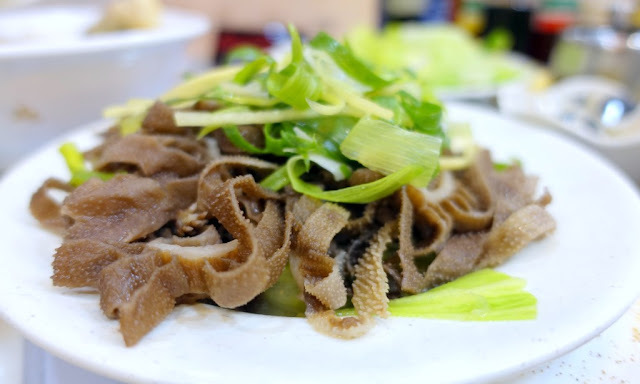 One of my go-to, must-order side dishes: boiled beef tripe garnished simply with spring onions, ginger and soy sauce. 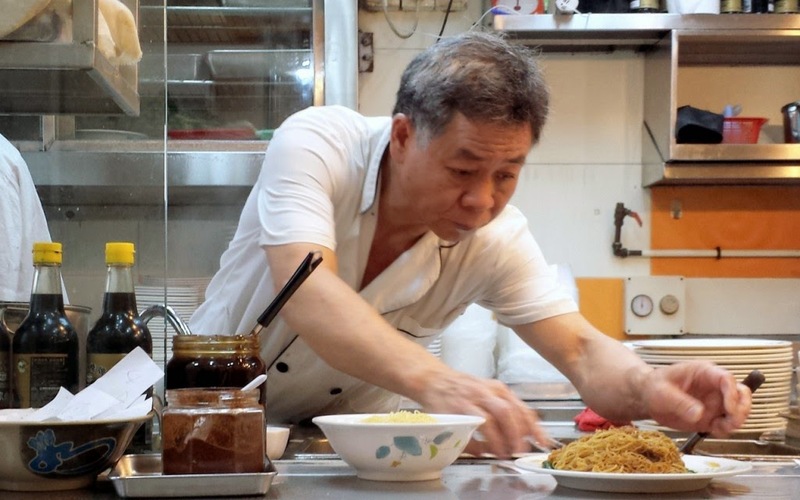 I love that they serve the flat mee pok/miàn báo (麵薄) egg noodles too, in dry and soup form. 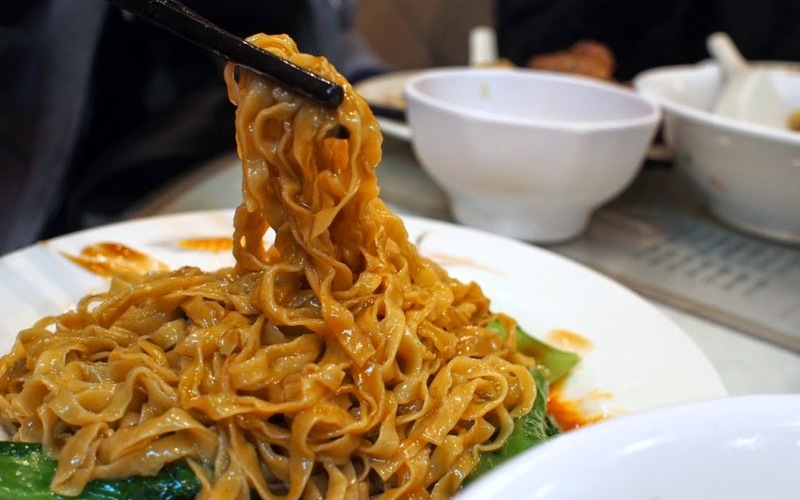 Not many diners order these as they can choose from so many other types of noodles - I'm quite partial to the hor fun/hé fěn (河粉,) and mai fun/mí fěn 米粉 myself. I also come for my fishball and fishcake fix. They're much better here than most noodle joints in Hong Kong (or even Singapore, come to think of it.) These come with or without noodles, depending on your preference. Non-stop action from the chefs and the serving team. A typical meal for two.....extremely hungry diners.